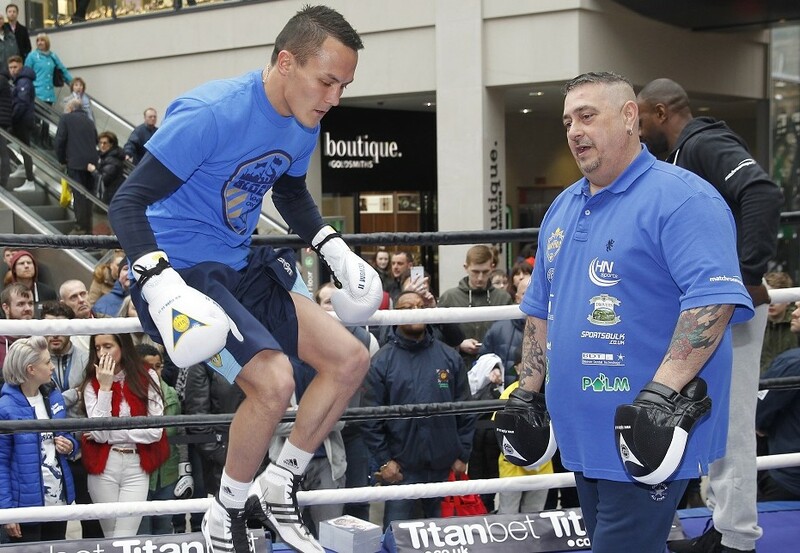 Lee Selby will make the fifth defence of his IBF World Featherweight Championship against Mandatory Challenger Josh Warrington at the home of Leeds United, Elland Road on Saturday 19th May, live and exclusive on BT Sport and BoxNation. The Barry stylist and Warrington have been embroiled in a long-running rivalry, with Selby accusing the Yorkshireman of ‘bottling’ an opportunity to face him in 2016. But now the bitter foes will settle their feud once and for all in the first ever World Title fight to be held in Leeds. Leeds hero Warrington (26-0, 6 KO’s) brought the blockbuster all-British showdown closer to reality by stopping previously unbeaten Dane Dennis Ceylan in a Final Eliminator clash at the First Direct Arena back in October. Welshman Selby (26-1, 9 KO’s) claimed the IBF Featherweight crown against Russia’s Evgeny Gradovich in 2015 and will be defending his belt on away soil for the fifth time when he steps into the lion’s den on May 19th. “On May 19th I’ll achieve my dream of becoming a World Champion at the home of my beloved Leeds United,” said Warrington. “The city of Leeds is craving a World Champion and I’m going to give them what they want. “Fighting away from home in his backyard doesn’t bother me in the slightest,” said Selby. “This is a huge fight and it makes sense to take it to a football stadium. There will be tens of thousands of his fans backing him on May 19th but it’s only me and him in the ring. Promoter Frank Warren said: “I’m delighted that we can finally announce Elland Road as the venue for Lee Selby vs. Josh Warrington. I’d like to thank the Leeds United owner Andrea Radrizzani for making this all possible. “May 19th is going to be a huge event for the city of Leeds and I know that they will turn out in their thousands to back one of their own. This fight has been in the making for years and Elland Road is a fitting venue for it. Information on how to purchase tickets for the night of boxing under the Elland Road floodlights will be released shortly.